Cypress Bay High School is proud to be the first Broward County Public School to offer its students a SORA by Overdrive collection. 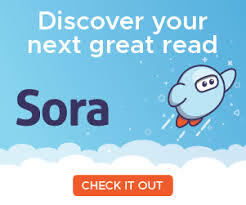 SORA lets you borrow eBooks, audiobooks, and more from our school's digital collection. FREE DIGITAL MAGAZINES ​The Wave proudly announces our new resource flipster! Students and staff have access to over 30 popular magazines, including TIME, NEWSWEEK, & ESPN. School Library Month is the American Association of School Librarians' celebration of school librarians and their programs. Every April school librarians are encouraged to host activities to help their school and local community celebrate the essential role that strong school library programs play in transforming learning. The Wave is excited to celebrate school library month as we showcase our digital and print collections, EVERYONE BELONGS. This is your center for help and information on the ACT / SAT / PSAT / FSA and AP EXAMS. Simply click on the button above and register for access to Test prep and Practice tests while on school WIFI. Please visit the Wave for offsite access. Analyze social, political, economic and other issues from international perspectives. Click on the button for instant access while on school wifi. Please visit the Wave for offsite access. The Wave is proud to announce our new resource Science, a leading outlet for scientific news, commentary, and cutting-edge research. Through its print and online incarnations, Science reaches an estimated worldwide readership of more than one million. Science’s authorship is global too, and its articles consistently rank among the world's most cited research.